What can a game programmer do about climate change? Two months ago I left my job at Playtonic Games and for all intents and purposes my career in the (mainstream) games industry. Why did I leave behind the dream career I’ve been building for more than seven years? Lots of reasons. But the main gist was so that I could refocus my energies on really big, way-out-of-my-league-but-let’s-try-anyway issues, such as climate change. After 2016’s seismic political events, record-breaking temperatures, and wave after wave of terrible news for the environment, I decided to make the jump. There is no stopping climate change; it’s already happening. But we can still do our best to try and minimise its impacts. Unfortunately the impacts we’re already seeing have in many ways been underappreciated because for many they still seem distant and less pressing than more immediate concerns, and notably because they’re affecting people of colour in poorer countries first and foremost. A stark reminder that this isn’t just an environmental issue, it’s a social issue. It’s also an economic issue, a political issue, an everything issue. So where to get started? And what can a game programmer possibly do in the face of such huge crises? Well, I’ve been giving that some thought, and I’ll start with what I know: games. Games can be a great way to learn about and explore big complicated, holistic systems which are otherwise difficult to grasp in their entirety. But a solid foundation of knowledge is just the first step. If we want to fight climate change we also need to know how and where we can apply our knowledge to create meaningful solutions. In his book, Persuasive Games, game designer and philosopher Ian Bogost describes how games can be used to mount and explore arguments about the “real world.” Bogost calls this “procedural rhetoric”, a new kind of persuasive argument “tied to the core affordances of computers: running processes and executing rule-based symbolic manipulation.” The book is full of examples of games that have done this well, and not so well. It’s well worth a read if you’re interested in games as catalysts for change. Eco is a online game in which players “must collaborate to build a civilization in a world where everything they do affects the environment.” Need wood for building a shelter? You’ll have to cut down a tree. Cut down too many trees, though, and the ecosystem(s) will suffer along with the (fully simulated) climate. Your ultimate communal goal is to build up sufficient technological advances to ward off an impending meteor impact, but you have to do so without irrevocably devastating the natural environment in the process. As well tailoring as their own behaviours to achieve this, players can form governments and write laws to, for example, restrict how much hunting of a given species is allowed, or how much pollution is acceptable. The game, developed by Strange Loop Games, is partly funded by the US Department of Education and is being designed and built for use in classrooms in addition to more traditional gaming contexts. Further funding came via Kickstarter which included a tier that gave backers access to the game’s source code and even offered the chance to submit code for possible inclusion in the final game. It’s an interesting, semi-open-source model that’s facilitated by a very open and welcoming development team. Given their unique approach (and game) I thought I’d get in touch to offer my services, and I’m excited to say that I’ve since started pitching in with the game’s development! If you’re interested you can buy the game now and get immediate access to the current alpha build. Veering away from games but staying within the realm of interactive media, there’s a whole load of interesting environmentally-oriented projects out there right now. If you’re a programmer (or otherwise technically inclined) and you want to do something but you don’t have a ton of free time to dedicate, you could do worse than to take a peek at the open source community. To highlight just one example..
Electricity Map by Tomorrow is a gorgeous, real-time, interactive simulation of where electricity comes from (and goes) across Europe, and how much CO2 is emitted in the process. It’s part of Tomorrow’s goal to “propel humanity to a sustainable state of existence by quantifying, and making widely accessible, the impact of every choice we make.” It’s fully open source and you can see how to contribute over here. I’m hoping to chip in myself (I’ve only committed a minor documentation amendment so far, but hey, baby steps, right?) and the team is super helpful, friendly, and knowledgeable. I’m learning loads just by hanging out on their Slack channels. And while we’re on the subject of learning, there’s now a wide array of relevant and free online courses out there if you want to delve in deeper before starting to (help) build things. Coursera‘s Intro to Sustainability takes a (fairly academic) introductory look at “how today’s human societies can endure in the face of global change, ecosystem degradation and resource limitations.” It’s a nice jumping-off point for several areas of study across both the natural and social sciences. Coursera also offers two really great and tightly coupled coursers on global warming. 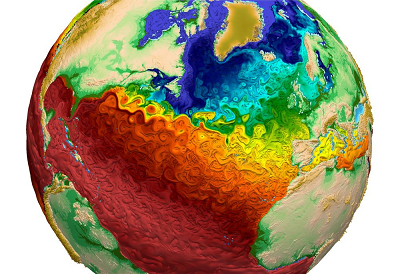 The first describes the science behind global warming and how its effects can be modelled procedurally, while the second lets you actually put that knowledge into action by building your very own climate models in Python. The latter assumes no prior knowledge of Python either, and actually sells itself as “a great way to learn Python!” if you’re not familiar with the language and fancy a double-whammy of learning. An active reader, according to Victor, is someone who “asks questions, considers alternatives, questions assumptions, and even questions the trustworthiness of the author.” In an increasingly information-saturated world it is becoming ever more difficult to discern fact from fiction, but ever more important for us all to be able to do so. Victor suggests that part of the solution should be a re-think of how information is presented. Despite technological improvements, most of the information we consume online still comes to us in the form of static text documents, just as it would in a newspaper. Can’t we do more? What if documents weren’t static but reactive? What if, rather than simply mentioning a bunch of facts and figures (and, if you’re lucky, some citations), a document actually had the models behind those figures built in so that readers could play around with them? Take the following as a trivial example: If you eat cookies you will consume calories, which is % of your daily recommended intake. Try clicking and dragging the number of cookies. Now imagine similar techniques applied to mainstream media articles! Ten Brighter Ideas is Victor’s (incomplete) proof of concept of these ideas in terms of energy conservation. I think the complexities of climate change and related issues (ecosystem devastation, energy generation and consumption, etc.) would greatly benefit from more of this kind of content. And I think game developers have a particularly relevant set of skills to help make that happen. If any of my fellow game devs (not just programmers) are reading this and might be interested in collaborating on something in this area, please get in touch! Of course games, web apps, and fancy interactive thingymajigs are not a magic silver bullet for saving the planet. An issue like climate change requires a myriad of different responses, and another essential one is good ol’ collective political action. That’s something we can all get involved with, game programmer credentials or no. With that mind I’m excited to have joined the Divest Parliament campaign team with an aim to convince our MPs to divest (remove and replace) all fossil fuel investments from their £500 million Parliamentary Pension Fund. I’ve just come back from a fantastic training weekend in London, and we have some big plans for the months ahead. We believe that our MPs should take this opportunity to show leadership on climate action by putting their money where their mouths are. Divestment from fossil fuels is the fastest growing divestment movement of all time, with over $5 trillion already committed to be divested globally. Just a few days ago the Irish parliament passed first-of-its-kind fossil fuel divestment legislation. “If it’s wrong to wreck the planet, then it’s wrong to profit from that wreckage” as Bill McKibben and Kumi Naidoo say. Divest Parliament is a national campaign and we need people from every area of the UK to get involved. It’s an exciting opportunity to make a real impact, so if you think you might be interested in helping out please do get in touch! The connection of the gaming industry with the existing political and economic problems is very noticeable. You managed to prove this by example. You see there are a lot of questions to be discussed. It is also the best thing to have it. Be ready to new.